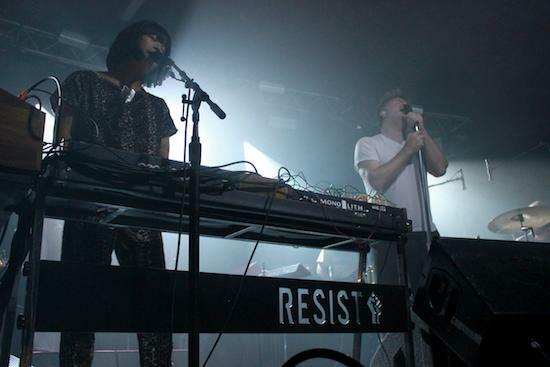 We had a theory that LCD Soundsystem are a band of perfect imperfection. Then we saw them live at the weekend, and they were just perfect. When LCD Soundsystem released their excellent recent album, American Dream, they did so by unveiling one of the album’s least spectacular tracks - the ‘U2 discovering Neu! for the first time’ sounds of ‘Call The Police’. Soon after came the somewhat uninspired album cover, which baffled so many people that James Murphy released a statement on Facebook to clarify it was indeed the actual album artwork and not just a bit of temporary stock photography. None of this is really new in the world of LCD Soundsystem. Since the release of their superlative debut single ‘Losing My Edge’ back in 2002, they have hit their stride in moment after moment, altering or redefining the landscapes of dance and indie, often colliding the two in one dancefloor-melding swoop. But they have always matched their dizzying heights with sunken lows, existing in a constant state of the brilliant and the less-so. One of the group’s many skills - or shortcomings, depending on your outlook - has been to lower expectations and trample on excitement in the buildup to a new album. Even Sound of Silver, which many consider the group’s zenith, comes loaded with incongruities. Who releases ‘North American Scum’ as the lead single from an album that contains ‘All My Friends’, ‘Someone Great’ or ‘Get Innocuous’? Well, the same person who releases the turgid ‘Drunk Girls’ as the first taster of an album that contains ‘Dance Yrself Clean’. 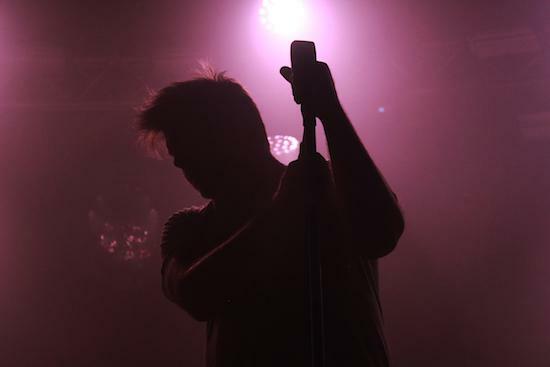 Inconsistency is woven into the fabric of life, and the fabric of LCD Soundsystem. 2017 finds the group four albums in and they have still never reached an all-time peak; they have never created a perfect coalescence of their vision and tone in one cohesive album. They have done it within individual songs, repeatedly, but the wonky beauty of the group is that those gems sit side-by-side with the fleeting clunkers. Each of their albums showcases the band at their best and their worst. They are a constantly evolving paradox. And now for an extra layer of paradox. Because in Manchester this evening, they play a set that utterly and viscerally captures everything that is impeccable and magnificent about the band. They demonstrate that, also woven into the fabric of life, there are moments – whole nights! - of exhilarating near-as-damn-it perfection. One thing LCD Soundsystem are so beautifully capable of doing - which they do repeatedly throughout tonight - is catching a groove and riding that thing like a surfer glued to a wave. They lock into place and just endlessly unfurl within it. When they apply this to some of their older, often rougher, material they pluck something fresh from them. A mid-set burst of ‘Tribulations’, ‘Movement’ and ‘Yeah’, doesn’t sound like the classics being pulled out of the golden oldies bag; they erupt as songs that feel utterly recharged, revitalised and pulverising. ‘Yeah’ feels like it goes on endlessly but only ever seems to gain momentum, and the synergy these songs have with the perfectly crafted light show - including the group’s giant mirror ball - creates something that feels utterly immaculate and pristine but still unrelentingly tough. The stage full of hardwired synths and analogue electronics adds a dynamic between the thunderous grooves of the drums and the bleeding guitar parts. This dynamism results in a band that just sound incredibly hard when they connect. Of course, delicacy and poise is always there alongside the noise when it’s needed. During ‘New York, I Love You But You’re Bringing Me Down’ the grace and power merge dreamily, moving like a perfectly formed tornado. When they play ‘Tonite’ they hit a new level of intensity. At one point they break the song down to a few eruptive thuds that, when combined with bursts of bright white light, feel like a wormhole being forced open. The crunch of the music sends reverberations through the room as you feel your own teeth clatter through the low-end hum. The group only play two other new songs - ‘Call The Police’ and ‘Emotional Haircut’ - both of which the crowd go wild for. Despite playing a glorious two-hour set, there’s still a nagging sense of wonder as to what they could have brewed up for a live rendition of new tracks such as ‘How Do You Sleep?’, given the oomph of that PA.
‘Dance Yrself Clean’ and ‘All Your Friends’ are the closing double-header. The wriggling, convulsing eruptions of the former feels as charged and intoxicating as ever, and 'All Your Friends' never ceases to be anything other than one of the greatest pieces of contemporary pop music. LCD Soundsystem may have arrived in 2017 with a new album that cements their place as the perfect imperfect band, but tonight they came dangerously close being completely flawless.